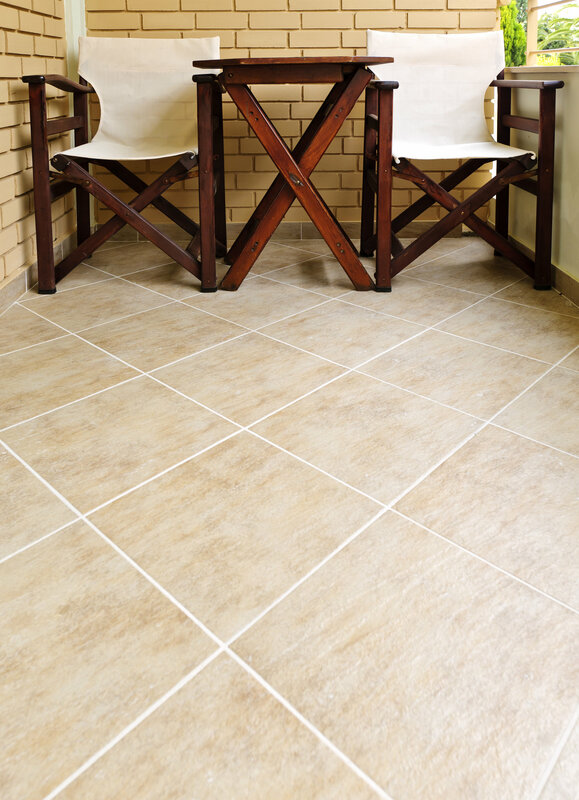 Ceramic tile is a versatile material that can easily be incorporated in a variety of environments. From bathrooms and kitchen floors to walls and countertops, even backsplashes can benefit. But what exactly is ceramic tile? Ceramic tiles are tiles made from clay that have been permanently hardened due to oven-firing and often coated with a glaze. This durable substance can be found in the ruins from ancient Rome and Egypt. Even the city of Pompeii has ceramic tilework that are still beautiful after more than 2,000 years. Because of the way these tiles are made—oven-fired, hardened, and glazed—these tiles are virtually impervious to water and humidity. Making them well-suited for moisture-rich environments like bathrooms and kitchens. (Grout on the other hand is a different story). A well installed ceramic floor is very difficult to crack and as noted above can last thousands of years… unless you like to redecorate. In the unfortunate event that your ceramic tile does crack, replacement is a relatively simple and inexpensive process. The bigger question is why did it crack? Crack failure is generally the result of an installation or construction issue. A flexing floor will give first hints with broken grout, but an tile that has hollow spaces behind it due to insufficient setting material will see a higher incidence of cracking. (We love doing this test as we get to use our high technology golf ball bouncing it across the floor listening for the echoes of hollow spaces). It is also stain- and wear-resistant, which can account for its sustained beauty over time, and longevity versus other natural materials. As far as material maintenance goes, ceramic flooring is on the low side. Dirt, debris, liquids and many other substances just sit on the surface (especially if the tile has been glazed), making for easy clean-up. Clean-up has more to do with the type of cleaner than the surface. Impervious to acids, there is a broader variety of cleaners deemed safe for use on tile. The issue is different when it comes to grout, as acids will damage the dyes used to color grout resulting in a fade in color over time, or as they say with vinegar a lightening. Do not be fooled – lightening – is a sign not of clean but of dye damage. As such one still wants a non-acidic cleaner so we are not damaging the grout as we clean our ceramic. If grout is your issue try MARBLELIFE® MaxOut Tile & Grout Cleaner formulated to penetrate grout pores to float dirt out, in fact you can literally see the foam turn brown as the dirt is floated away. For daily cleaning, MARBLELIFE Tile & Grout cleaner provides exceptional oil and grease management which really sets it apart. It’s also a good stone for people who suffer from allergies, as ceramic does not attract dust, pollen, or other allergens. Most ceramic tiles cost anywhere from $5-$10 per square foot, making it slightly more expensive than carpet but still less than hardwood, marble or granite. Its one of the few times one can see an inexpensive products turn-up in good shape thousands of years later. With a little care, perhaps your home will be someone else’s great find years from now. What will they think of us then? Tile Then. If you have any questions regarding ceramic or any other type of tile, be sure to contact your local MARBLELIFE office and a knowledgeable stone craftsman will be happy to help you. 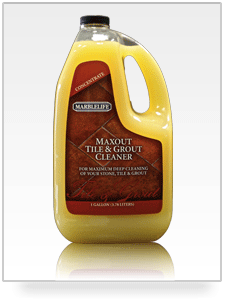 MaxOut Cleaner Concentrate is a specifically designed formulation that emulsifies grease and dirt from your grout. It will not harm ceramic, porcelain, Saltillo, Terracotta or stone tile.